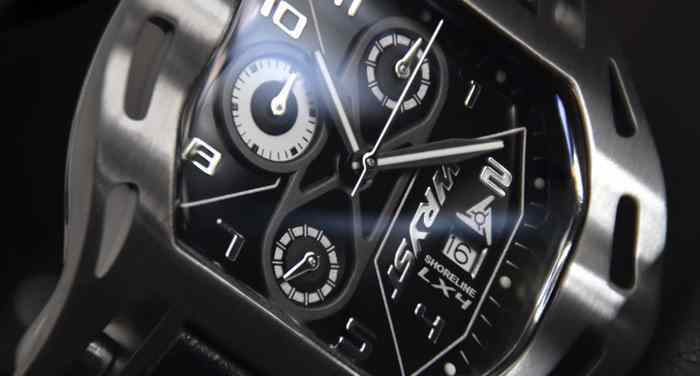 The luxury Swiss Chronograph sport watch Wryst Shoreline LX4 with brushed stainless steel case and black dial is dedicated to simplicity and elegance. Either fitted with the black genuine leather quality strap or the bi-color silicone strap, the casing shows nicely contrasted. 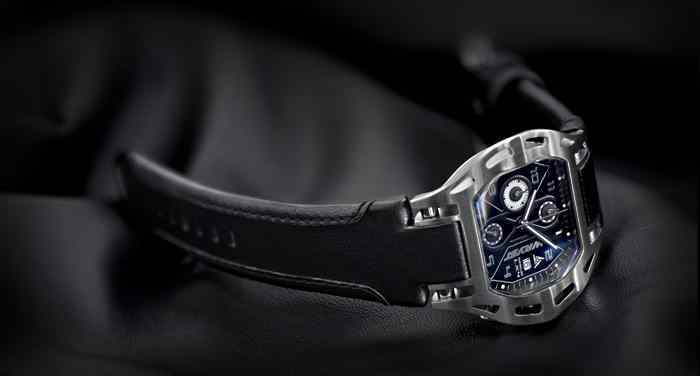 This chronograph watch is more than a fashion accessory, it is a true statement of style, charisma and individualism. Well Wryst is totally dedicated in providing atypical watch design in the Swiss traditions. 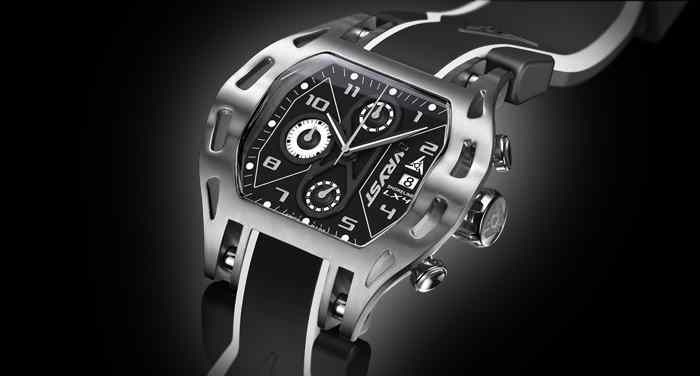 Only 99 pieces for this Limited Edition Luxury Sport Watch! The Swiss Sport Watch Wryst Shoreline LX4 is one of a kind and more than ever dedicated to outdoor adventures, water sports and adrenaline junkies. The "K1" crystal is also super tough; Ultra resistant material more scratch proof than mineral crystal, it is also more shatterproof than sapphire. 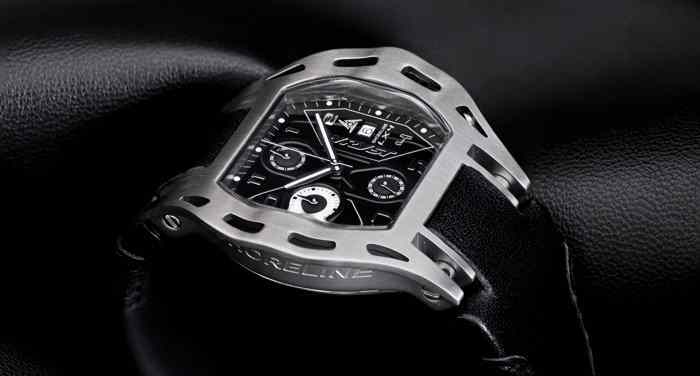 The Shoreline collection provides the very first watches ever produced that fulfill groundbreaking stylish look.